Dr. Tom Wanyama is an assistant professor in the School of Engineering Practice and Technology (SEPT) at McMaster University which he joined in May 2012. Dr. Wanyama is a professional engineer in the provinces of Alberta and Ontario. Before joining McMaster, Dr. Wanyama led the team that developed, built and maintained packaging equipment for DuPont Canada at its Calgary distribution centre. 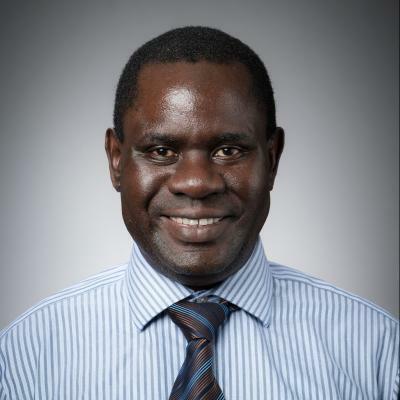 Dr. Tom Wanyama is an assistant professor in the School of Engineering Practice and Technology (SEPT) at McMaster University which he joined in May 2012. He has over 20 years of university teaching experience; teaching a wide range of undergraduate and post graduate courses, including: digital electronics and systems, electricity and magnetism, power electronics, power systems, electrical machines, microwave engineering, data communication and computer networks, software architecture, software design process and metrics, industrial networks and controllers, artificial intelligence and decision theory, and software requirements and specification. Before joining SEPT, Dr. Wanyama led the team that developed, built and maintained packaging equipment for DuPont Canada at its Calgary distribution centre. At DuPont, he carried out simultaneous design of mechanical, electronic and software systems of packaging equipment (Nanomates, Fleximates, automated scales for the Form Fill and Seal (FFS) machines, and Tablemates). Moreover, he designed industrial Control Area Networks (CAN) based on Ethernet IP, CsCAN, and Profinet. Furthermore, Dr. Wanyama has wide experience in design and installation of electrical systems in commercial and industrial buildings, and he continues to consult in the area of packaging systems automation. His research work falls in three areas, namely: system composition and integration; use of artificial intelligence in systems control, monitoring and maintenance; and development computer based tools for personnel training. Tom Wanyama, Using Industry 4.0 Technologies to Support Teaching and Learning, International Journal of Engineering Education (Accepted for publication, October 2016). Zhen Gao, Tom Wanyama and Ishwar Singh, Design a Practice-Intensive Course of Programmable Logic Controller and Automation, International Journal of Mechatronics, Electrical and Computer Technology (IJMEC) Volume 5, Issue 16, pp. 2207-2216, Jul. 2015. Martha Kafuko and Tom Wanyama, “Integrated Hands-on and Remote PID Tuning Laboratory”, Proceedings of the Canadian Engineering Education Association Conference, Hamilton – Canada, June 2015. Ishwar Singh, Nafia Al-Mutawaly, and Tom Wanyama, “Teaching Network Technologies that Support Industry 4.0” Proceedings of the Canadian Engineering Education Association Conference, Hamilton – Canada, June 2015. Tom Wanyama and Ishwar Singh, “Laboratory Based Project for Experiential Learning in PLC Systems Integration and PLC Systems Data Access” Proceedings of the Canadian Engineering Education Association Conference, Canmore – Canada, June 2014. Ishwar Singh and Tom Wanyama, “A Laboratory on the Configuration of Electric Power Substation Monitoring and Control that is based on the SEL751A Relay and an Induction Motor Drive that is used as the three Phase Power Supply”, The proceedings of The Interdisciplinary Engineering Design Education Conference (IEDEC), Santa Clara, CA. USA, March 2013. Automotive manufacture and assembly; automotive testing; research methods and design of experiments, diagnostics; ergonomics; vehicle acoustics; vehicle safety and accident analysis; standards for safety and emissions; environmental assessment. Prerequisite(s): AUTOTECH 3AE3, 3AV3, 4EC3, ENGTECH 4EE0, and registration in level IV of the Automotive and Vehicle Technology program. This course covers advanced sensor and actuator technology, robotics and vision systems, automated workcell, flexible manufacturing systems, computer integrated manufacturing. Hardware and software integration issues, when and how to automate, OPC and HMI. Prerequisite(s): PROCTECH 4IC3, 4IT3; ENGTECH 4EE0 and registration in level IV of Process Automation Technology. Corporate and industrial networks, OSI model, Ethernet and TCP/IP, Modbus, Foundation Field bus, DeviceNet, PROFIBUS, AS-I, proprietary buses and protocols and interfaces, distributed I/O, drivers and devices and their implementation in PC and PLC based systems. Prerequisite(s): PROCTECH 3MC3, 3PL3, 3SC3 and registration in level IV of Process Automation Technology. This course focuses on requirement analysis, functional design, detailed design, reliability, maintainability and system life cycle. Methodologies and tools, requirements and validations, requirements for safety-related systems and mission critical systems. Prerequisite(s): PROCTECH 2CA3, 4TR1; ENGTECH 4EE0 and registration in level IV of Process Automation Technology. This course covers corporate and industrial networks, OSI model, Ethernet and TCP/IP, Modbus, Foundation Fieldbus, DeviceNet, PROFIBUS, AS-I, propriety buses protocols and interfaces, distributed I/O devices and their implementation in PC and PLC based systems. Tom Wanyama has lots of ideas about how to improve maternal and infant health in his native Uganda.